Okay, so I know that I'm totally late jumping on to this bandwagon but, I was recently in Brighton and decided to pop into Debenhams and browse the Benefit counter. I had always wanted to try the Porefessional primer from them but I was a little sceptical as I had never tested it out before. The lady at the counter was lovely and showed me the primer and also explained all of the great things this primer does. My mum even ended up buying one and she is quite fussy when it comes to primers! So I thought that since I've been trying this out for a few weeks now that I would review it on here for you guys. Benefit claim that this primer will "Quickly minimise the appearance of pores and fine lines for smoother-than-smooth skin! Apply this silky, lightweight balm alone, under or over makeup. The translucent formula contains a vitamin E derivaative known to protect skin from free radicals." It also claims to be oil free, to complement all skin types and also helps makeup to stay put. I have some small pores in the centre of my face and this primer managed to hide them pretty well. I normally put a small amount in the centre of my face where I have the most pores and get the most oily and blend it outwards on my face. It really covers my pores unlike any other primer that I have ever tried, it's quite surprising when you see it once it has been applied. 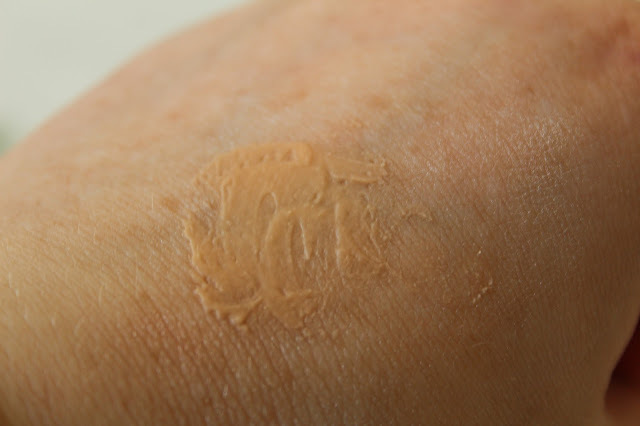 The primer has a great, oil free, smooth texture that also has a silicone feeling to it. Once applied, it dries to a matte finish and your skin looks lovely. You can apply this primer under or over makeup, so you can apply it under your makeup in the morning and then use it during the day to top up and stay matte. The good thing about this primer is that it feels really lightweight once it is on the skin and you could even get away with just wearing this and no foundation if you're in a rush. I also noticed that this primer didn't break me out like some other primers have. When I applied this and then applied my foundation over top, I noticed that my foundation stayed on all day but I did notice that I was looking a little more oily than usual, but that might have been due to the ridiculously hot weather that day. The next day I wasn't as oily but I still had to blot my face. 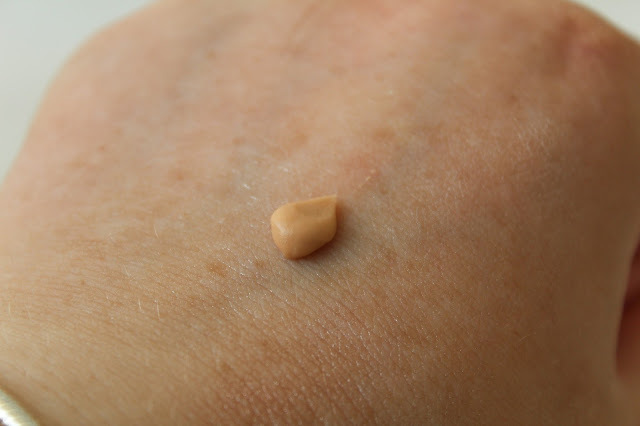 The colour of this primer is beige when squeezed out of the tube but once it has been applied to the skin it becomes translucent. At £24.50 this primer is quite expensive but a little does go a long way and it can last for a few months if you use around a pea sized amount. I do like that it goes on translucent even though it does come out of the tube coloured and it also blends out beautifully and doesn't leave your skin feeling tacky or oily. You can get this primer from Debenhams here. I honestly can't rave about this product enough, if you can't tell haha! Even my mum loves it and I don't think she will buy another primer ever again. It has become a staple in my makeup routine and my skin always looks flawless when I am wearing it. Have you got this primer and tried it out? If you have troublesome pores then I would suggest that you do! I just got a sample of this primer. I'm so excited to try it now with your rave review! But I'm definitely interested to see if my skin gets a little oily, too! Ahh thank you so much! It is a good Primer apart from the slight oily part! I bought this a few months ago and unfortunately haven't noticed a change in my pores with it...but it does keep my make up on all day. So I'll take that! Ah that's rubbish, but I guess if it keeps your makeup on all day then that's a plus haha!